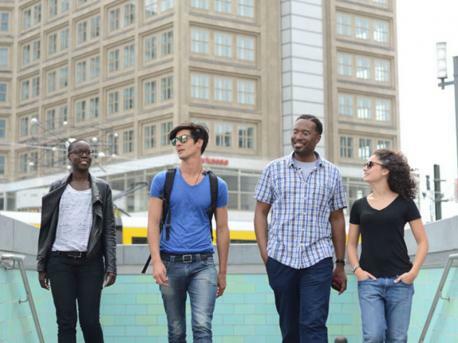 Learn German in Berlin, the wonderfully charming and attractive capital of Germany. Berlin is a city where culture meets history and makes an ideal destination to learn German. Culturally diverse with an international reputation, Berlin has a fantastic art scene and is home to hundreds of art galleries. The influence of young German's who settle in the city has helped establish Berlin as a main centre of youth and popular culture in Europe. Mitte has more of an elegant, traditional feel and is more expensive to live in due to its cultural significance and is certainly worth a visit simply to witness the landmarks housed there.